Quickly, now. Blue Label, if you can afford it. Otherwise Gold or Green, if you have it. Black Label, acceptable. an nivir brocht ti mynd ? an ald lang syn ? An sheerly yil bee yur pynt-staup ! an sheerly al bee myn ! An thers a han, my trustee feer ! an gees a han o thyn ! As the holidays come to a close (New Year's Eve would be the last hurrah for the time being), I seriously need to buckle down and focus on the Elan Vital score. While generally under-productive, the past few holiday weeks have been a blast! Congratulations to the New England Patriots for their perfect season. It was a good game until the fourth quarter, when the New York Giants either choked or threw the game altogether. You decide. Is it just me, or is Jonah Hill's character Seth in the film Superbad essentially a teenage Eric Cartman (albeit less megalomaniacal)? P.S. After a quick Google search, I am definitely not alone in the Cartman / Seth comparison. 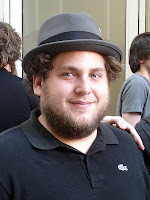 Jonah Hill photo credit: Mutari. Okay, it kind of looks like a Thanksgiving meal, as well. Needless to say, I'm no longer the weight written on my driver's license. Anyhow, the holiday season has really slowed down my productivity, so it's back to work I go. Also, if you celebrated last night and/or today, I hope you had a Merry Christmas! Glass of wine photograph credit: André Karwath aka Aka. In other news, I am the exact weight listed on my driver's license. However, I'm not going to say whether I lost or gained weight to get there. In case I don't write tomorrow, I wish you all a Merry Christmas! In my opinion, the holiday special isn't that bad. It has the same kind of cheesy elements that have been perpetually part of the Star Wars saga, albeit in higher concentration. For example, Darth Vader was a hilarious villain even before the Chad Vader spoof series. He moves his hand while James Earl Jones speaks - and in silly one-liners to boot ("Your training is complete.")! Anakin Skywalker was a cheesy kid ("Yippie!") and an unbelievably whiny young adult ("Waa waa waa!"). Theoretically, the character of Anakin - and his messianic / tragic journey - is the stuff of sound mythology that would do Mithras proud, but the execution was pretty cheesy. Apparently, I'm ranting about Star Wars. I guess I've ascended to a higher plane of geekiness! Anyhow, Happy Life Day, or as Chewbacca would say: "Nwuoauaaavouoauuwoouai haaowuoua haaamoaaa vaaua wyuaauaouroa vrraaavoouou wuaanyuuo! Hraaoouahauuwouaa raoaauaruuaooa raaooaoaroaaoa waouuoa rouoouoruuaa huuaaihuouaa waoaonoaua ruaoohaaouo." I received my second Ten Club holiday gift yesterday. For those who don't know: The Ten Club is the official Pearl Jam fan club, and around Christmastime, the band sends out a vinyl single for card carrying members. Last year's single was pretty commercial, as it had an edited version of the cover song "Love Reign O'er Me" as the A-side and a live, modified cover of "Rockin' in the Free World" featuring Bono and The Edge alongside the band. Plus it had a smaller center hole so I could play the record right out of the sleeve. This year's single ("Santa God" B/W "Jingle Bells") has a larger middle hole, and for the life of me, I can't find a 45 RPM adapter in my grasp. Maybe if I'm really good, Santa will get me something worth a few cents. These little plastic things cost less than a lump of coal - with energy prices skyrocketing these days - so it would benefit jolly Saint Nick to ignore my year's worth of badassness. In addition to the other member benefits, this is worth the $20 annual fee - but only if you're a fan. Thanks, Pearl Jam! 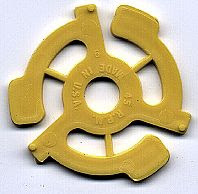 Vinyl adapter photo credit: Daniel P. B. Smith. Taco photo courtesy of the United States Department of Health and Human Services. You probably know the lyrics to "Santa Claus Is Coming to Town," especially the first part: "You better watch out / You better not cry / You better not pout / I'm telling you why..." or something to that effect. In this song, the only reason why not to do all of the above is because, of course, "Santa Claus is coming to town." It goes on with the creepy stalker stuff, like watching you in your sleep, following your every move, etc. The word Krampus originates from the Old High German word for claw (Krampen). In the Alpine region the Krampus is represented by an incubus in company of St Nicholas. Traditionally, young men dress up as the Krampus in the first two weeks of December and particularly in the evening of December 5 and roam the streets frightening children (and adults) with rusty chains and bells. 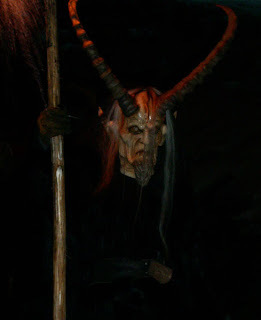 In some rural areas also slight birching especially of young females by the Krampus is part of tradition. The present day Krampus costume consists of red wooden masks or Larve, black sheep's skin and horns. Considerable effort goes into the manufacture of the hand-crafted masks, as many younger adults in rural communities engage competitively in the Krampus events. Knecht Ruprecht is commonly cited as a servant and helper, and is sometimes associated with Saint Rupert. According to some stories, Ruprecht began as a farmhand; in others, he is a wild foundling whom St. Nicholas raises from childhood. Ruprecht sometimes walks with a limp, because of a childhood injury. Often, his black clothes and dirty face are attributed to the soot he collects as he goes down chimneys. In some of the Ruprecht traditions, the children would be summoned to the door to perform tricks, such as a dance or singing a song to impress upon Santa and Ruprecht that they were indeed good children. Those who performed badly would be beaten soundly by Servant Ruprecht, and those who performed well were given a gift or some treats. Those who performed badly enough or had committed other misdeeds throughout the year were put into Ruprecht's sack and taken away, variously to Ruprecht’s home in the Black Forest, or to be tossed into a river. In other versions the children must be asleep, and would either awake to find their shoes filled with sweets, coal, or in some cases a stick. Over time, other customs developed: parents giving kids who misbehaved a stick instead of treats and saying that it was a warning from Nikolaus that "unless you improve by Christmas day, Nikolaus' black servant Ruprecht will come and beat you with the stick and you won't get any Christmas gifts." Often there would be variations idiosyncratic to individual families. The companion of the French St. Nicholas, Père Fouettard (the whipfather), is said to be the butcher of three children. St. Nicholas discovered the murder and resurrected the three children. He also shamed Père Fouettard, who, in repentance, became a servant of St. Nicholas. Fouettard travels with the saint and punishes naughty children by whipping them. In modern times he distributes small whips, instead of thrashings, or gifts. Often portrayed as a mischievous or even mean character, parents used to tell their children that if they have been good, Zwarte Piet will bring them gifts and sweets; but if they have been bad, Piet will scoop them up, stuff them in his huge dufflebag and spirit them away to Spain (a logical place of origin for the black assistant from the time of submission of 'heathen' Moors during the Reconquista). Though this is considered increasingly outdated nowadays, he can still carry some type of whip or scourge, especially a birch, which could be used for birching or in modern words, to chastise children who have been too naughty to deserve presents. The character is believed to have been derived from pagan traditions of evil spirits. Also being told or shared for decades is that the Zwarte Pieten are black because of chimney soot and or mockery of the darker Spanish occupiers. So there you have it: Two partners - one saint and one not - working together to keep your children in line and obedient to society, through the promise of reward and the fear of punishment. Saint Nicholas and Krampus. Since the demon Krampus comes from the word for claw, we can soundly suggest that Santa Claus and Satan Claws will bring your children what's comin' to them. Being a self-declared troubadour, I take offense that it's included on the list. Yes, the usually serious (though slightly sardonic) tone of this blog is also on vacation for the holidays. I'll be sure to take note of the ingredients and post it on a future edition of Food Friday. It seems like a lot of my blog entries throughout the DeRamos.org Network involves writing about regular features on hiatus for Christmas. In fact, it's ironic that I'm writing about things that I'm not going to write about temporarily. So far, Survey Sunday (on this blog) and Chord du Jour (which is another blog) have fallen victim to the winter downsizing. Rest assured, at least one of them will return in the new year. Mr. Jones was a funnier villain as Darth Vader's voice, but Thulsa Doom is a close second. Jupiter and his Mighty Folk had not always dwelt amid the clouds on the mountain top. In times long past, a wonderful family called Titans had lived there and had ruled over all the world. There were twelve of them-six brothers and six sisters-and they said that their father was the Sky and their mother the Earth. They had the form and looks of men and women, but they were much larger and far more beautiful. The name of the youngest of these Titans was Saturn; and yet he was so very old that men often called him Father Time. He was the king of the Titans, and so, of course, was the king of all the earth besides. Men were never so happy as they were during Saturn's reign. It was the true Golden Age then. The springtime lasted all the year. The woods and meadows were always full of blossoms, and the music of singing birds was heard every day and every hour. It was summer and autumn, too, at the same time. Apples and figs and oranges always hung ripe from the trees; and there were purple grapes on the vines, and melons and berries of every kind, which the people had but to pick and eat. Of course nobody had to do any kind of work in that happy time. There was no such thing as sickness or sorrow or old age. Men and women lived for hundreds and hundreds of years and never became gray or wrinkled or lame, but were always handsome and young. They had no need of houses, for there were no cold days nor storms nor anything to make them afraid. Nobody was poor, for everybody had the same precious things-the sunlight, the pure air, the wholesome water of the springs, the grass for a carpet, the blue sky for a roof, the fruits and flowers of the woods and meadows. So, of course, no one was richer than another, and there was no money, nor any locks or bolts; for everybody was everybody's friend, and no man wanted to get more of anything than his neighbors had. When these happy people had lived long enough they fell asleep, and their bodies were seen no more. They flitted away through the air, and over the mountains, and across the sea, to a flowery land in the distant west. And some men say that, even to this day, they are wandering happily hither and thither about the earth, causing babies to smile in their cradles, easing the burdens of the toilworn and sick, and blessing mankind everywhere. What a pity it is that this Golden Age should have come to an end! But it was Jupiter and his brothers who brought about the sad change. 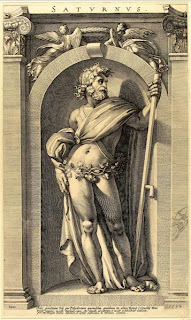 It is hard to believe it, but men say that Jupiter was the son of the old Titan king, Saturn, and that he was hardly a year old when he began to plot how he might wage war against his father. As soon as he was grown up, he persuaded his brothers, Neptune and Pluto, and his sisters, Juno, Ceres, and Vesta, to join him; and they vowed that they would drive the Titans from the earth. Then followed a long and terrible war. But Jupiter had many mighty helpers. A company of one-eyed monsters called Cyclopes were kept busy all the time, forging thunderbolts in the fire of burning mountains. Three other monsters, each with a hundred hands, were called in to throw rocks and trees against the stronghold of the Titans; and Jupiter himself hurled his sharp lightning darts so thick and fast that the woods were set on fire and the water in the rivers boiled with the heat. Of course, good, quiet old Saturn and his brothers and sisters could not hold out always against such foes as these. At the end of ten years they had to give up and beg for peace. They were bound in chains of the hardest rock and thrown into a prison in the Lower Worlds; and the Cyclopes and the hundred-handed monsters were sent there to be their jailers and to keep guard over them forever. Then men began to grow dissatisfied with their lot. Some wanted to be rich and own all the good things in the world. Some wanted to be kings and rule over the others. Some who were strong wanted to make slaves of those who were weak. Some broke down the fruit trees in the woods, lest others should eat of the fruit. Some, for mere sport, hunted the timid animals which had always been their friends. Some even killed these poor creatures and ate their flesh for food. At last, instead of everybody being everybody's friend, everybody was everybody's foe. So, in all the world, instead of peace, there was war; instead of plenty, there was starvation; instead of innocence, there was crime; and instead of happiness, there was misery. And that was the way in which Jupiter made himself so mighty; and that was the way in which the Golden Age came to an end. 2. Lettuce, of the dark green variety. 3. White fish (fish sticks, breaded fish fillets, baked fish etc. )...or even salmon works. The frozen variety - where you just need to throw 'em in the oven - will let you eat quicker. Avoid the microwave. 5. Fresh lemon juice (squeeze a wedge). 6. Shredded cheddar (or other cheese). 7. Some sort of salsa, if you want. Make. Eat. Repeat. 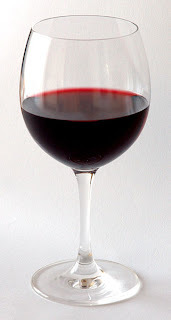 Have a beer or a glass of wine. Or both. No one's stoppin' you. Here's a quick one for Results Thursday: According to our inaccurately named Pop Culture survey, nobody likes President George W. Bush, the concept of Unicode, or Aussie actor Yahoo Serious. About 64% dislike the current U.S. President, no one dislikes Unicode, and about 7% dislike Yahoo Serious. About 29% have no opinion about Dubya, about 50% have no opinion about the computer character set, and about 43% have no opinion about the guy who's not a search engine. In conclusion, Unicode is not popular enough to be in the pop culture survey. To remedy this, here's a full-length movie: Weekend at Bernie's (in full-frame, as if composition mattered!). Okay, that wasn't so much of a remedy, was it? America, Where Are You Going? A form of communism: When the government owns corporations. A form of fascism: When corporations own the government. Instead of paying for a cable or satellite subscription - and a TiVo subscription on top of that - you can buy a media center PC and hook it up to your living room's TV. 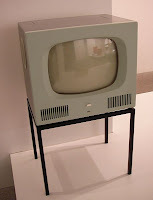 With this setup, you can connect to the Internet and watch some videos, either using VOD pay-to-download services (iTunes and Amazon.com) or free-to-stream websites (Hulu for TV shows, YouTube for independent video, etc.). Theoretically, you can get as fancy as you want with technology (and money) and let your media PC's hard drive do what TiVo would do. Alternatively, you can use either a PS3 or a Wii to connect to the Internet and watch some videos. Currently, I believe that Flash version 7 (and/or below) only works on these non-mainstream computing platforms. Current-generation consoles are obviously good for video games, so it's only natural that Internet browsing is a tertiary function. Anyhow, this means that the free videos from Hulu and various TV network websites won't play on your console because these videos use up-to-date versions of Flash. YouTube and Google Video videos, on the other hand, are still good to go! So you can definitely watch Chad Vader's latest quest in between video game sessions.